Fans of the dense, doughy, chewy, delicious bagel — and they are legion — will be delighted to hear their beloved food could also be good for them. A team of researchers at the University of Guelph has made a better bagel, one with dramatic health benefits. It’s a slightly lighter shade of brown than a commercially produced bagel, tastes almost the same, but it has the potential to curb a disease reaching epidemic proportions across North America. The miraculous ingredient is a type of dietary fibre called resistant starch, explains Alison Duncan, a professor of nutrition at the University of Guelph and director of the Better Bagel Study. In fact, each bagel contains 20 grams of resistant starch — about five times more than what people can consume in a normal diet each day. The study looked at the impact resistant starch has on the body’s glycemic response — how blood glucose levels react after consuming carbs. More than 10 million Canadians have diabetes or are on the verge of developing it, according to the Canadian Diabetes Association. A million more have Type 2 diabetes, but don’t know it yet. Type 2 diabetes is when the body does not produce or properly use insulin, which controls the level of glucose in the bloodstream. The incidence of Type 2 is escalating. Since 2000, the number of Canadians with diabetes has more than doubled and is predicted to increase another 40 per cent by 2025. More than half the cases of Type 2 diabetes can be prevented or delayed through healthier diets and increased exercise. The even better news is that the resistant starch in the University of Guelph’s Better Bagel can help keep Type 2 diabetes under control and actually reduce the incidence among those at risk for developing the disease. The flour in these bagels contains starch from a maize (or corn) variety also developed at the University of Guelph, in the department of plant agriculture by Dr. Elizabeth Lee. Not only did it need the right kind of starch, but the plants themselves needed to be suitable for Ontario growing conditions and farms. This is not the first instance of cross-department teams at University of Guelph designing, creating and producing new functional foods with health benefits. Omega-3 eggs, which can help control cholesterol, were also hatched at the storied agricultural school located in southwestern Ontario’s farm region. Because the starch is resistant to digestive enzymes, it travels slowly through to the large intestine. There, bacteria act on it and produce short-chain fatty acids, which have many health benefits. It’s difficult to get high amounts of resistant starch in the average North American diet, because it’s only found in a few sources, including unripe bananas and legumes. Once made, a group of 24 men and women, average age 55, and at an elevated risk of diabetes, consumed both the test bagels and regular bagels in a randomized order for eight weeks each. Participants gave a fasting blood sample and took an oral glucose tolerance test before and after the trial. The changes weren’t seen in the glucose levels but how the body produced insulin, Duncan says. 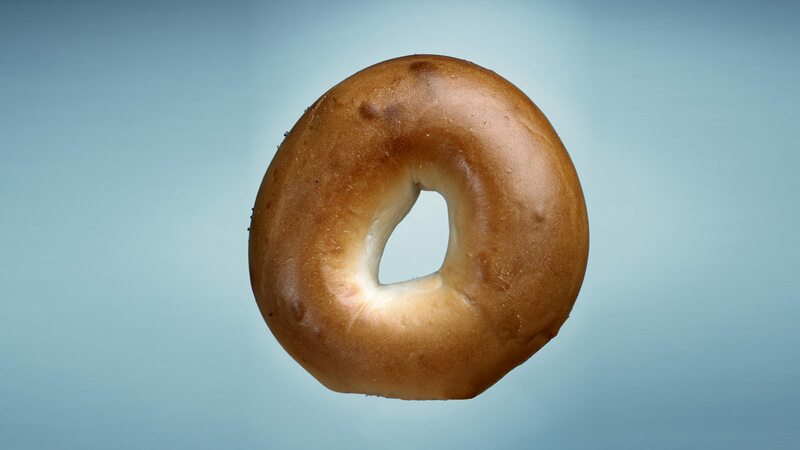 When eating the Better Bagel, less insulin was required to control the glucose. “One of the things with Type 2 diabetes is you have the insulin but you’re just not sensitive to it.” The test bagels significantly increased people’s insulin sensitivity. The study has been submitted to a medical journal for publication.